GOOD MORNING CHAIRMAN KNOLLENBERG, AND OTHER MEMBERS OF THE SUBCOMMITTEE. MY NAME IS ERIC PRICE AND I AM THE DEPUTY MAYOR FOR PLANNING AND ECONOMIC DEVELOPMENT FOR THE DISTRICT OF COLUMBIA. I AM PLEASED TO APPEAR BEFORE YOU TODAY TO PRESENT TESTIMONY ON CURRENT ECONOMIC DEVELOPMENT ACTIVITY IN THE DISTRICT OF COLUMBIA. LET ME BEGIN BY THANKING YOU FOR CONVENING THIS HEARING. THIS EVENT, COUPLED WITH YOUR ATTENDANCE AT THE ANACOSTIA WATERFRONT IN MARCH OF THIS YEAR, SENDS A STRONG SIGNAL. THAT YOU INTEND TO BE A FOCUSED AND SUPPORTIVE PARTNER IN OUR SIGNIFICANT ECONOMIC DEVELOPMENT EFFORTS ESPECIALLY WHERE THE FEDERAL GOVERNMENT HAS A MAJOR ROLE TO PLAY IN SHAPING AND ENHANCING THE PROSPECTS FOR SUCCESS OF A PARTICULAR PROJECT. I ALSO WANT TO EXPRESS MY APPRECIATION FOR THE SUPPORT THAT MY OFFICE AND OTHER SEGMENTS OF THE DISTRICT GOVERNMENT HAVE RECEIVED FROM OUR DELEGATE, CONGRESSWOMAN ELEANOR HOLMES NORTON. THE OFFICE OF THE DEPUTY MAYOR FOR PLANNING AND ECONOMIC DEVELOPMENT SUPPORTS THE MAYOR IN DEVELOPING AND EXECUTING THE DISTRICT'S ECONOMIC DEVELOPMENT POLICY. THE DEPUTY MAYOR'S OFFICE ASSISTS THE MAYOR IN THE COORDINATION, PLANNING, SUPERVISION AND IN SOME CASES EXECUTION OF ALL PROGRAMS, POLICIES, PROPOSALS AND FUNCTIONS RELATED TO ECONOMIC DEVELOPMENT IN THE DISTRICT OF COLUMBIA. THE OFFICE ALSO ADVISES THE MAYOR ON THE MOST EFFECTIVE ALLOCATION OF PUBLIC RESOURCES DEVOTED TO ECONOMIC DEVELOPMENT. REPRESENTS THE MAYOR TO BUSINESSES, DEVELOPERS, AND OTHER GOVERNMENT AGENCIES. IN THIS ROLE, THE DEPUTY MAYOR ATTENDS MEETINGS AND EVENTS ON BEHALF OF THE MAYOR. MOST OF THE DEPUTY MAYOR'S TIME IS CONSUMED BY THIS REPRESENTATION FUNCTION, WHICH IS TIME INTENSIVE, HIGHLY PERSONAL, AND OFTEN DRIVEN BY CONSTITUENT NEEDS. MANAGES THE EXECUTIVE AGENCIES RESPONSIBLE FOR ECONOMIC DEVELOPMENT. UNDER THE DEPUTY MAYOR SYSTEM, THE DIRECTORS OF MORE THAN A DOZEN AGENCIES REPORT THROUGH THE DEPUTY MAYOR FOR PLANNING AND ECONOMIC DEVELOPMENT. THESE AGENCIES COMPRISE THE CLUSTER GROUP FOR ECONOMIC DEVELOPMENT AND HAVE FUNCTIONAL RESPONSIBILITY FOR PLANNING, HOUSING, EMPLOYMENT SERVICES, BUSINESS DEVELOPMENT AND REGULATION. THE COMBINED ANNUAL BUDGET FOR THE ECONOMIC DEVELOPMENT CLUSTER GROUP EXCEEDS $180 MILLION. THE OFFICE OF THE DEPUTY MAYOR IS ACCOUNTABLE FOR THE PERFORMANCE OF THESE AGENCIES THROUGH ITS MANAGEMENT AND OVERSIGHT FUNCTIONS. RUNS THE DISTRICT'S PRIMARY ECONOMIC DEVELOPMENT AGENCY. UNLIKE MANY OTHER LARGE CITIES, THE DISTRICT DOES NOT HAVE A SEPARATE AGENCY WITH OVERALL RESPONSIBILITY FOR ECONOMIC DEVELOPMENT PROGRAMS AND PROJECTS. THE OFFICE OF THE DEPUTY MAYOR SETS DEVELOPMENT PRIORITIES AND POLICIES, COORDINATES HOW THE DISTRICT MARKETS ITSELF TO BUSINESSES AND DEVELOPERS, AND RECOMMENDS AND IMPLEMENTS FINANCIAL PACKAGING FOR DISTRICT DEVELOPMENT, ATTRACTION, AND RETENTION EFFORTS. WHEN I BEGAN MY TENURE AS DEPUTY MAYOR IN OCTOBER 1999, THE DISTRICT WAS IN THE RELATIVELY EARLY STAGES OF AN ECONOMIC RESURGENCE THE LIKES OF WHICH WE HAD NOT EXPERIENCED IN THE PRECEDING 10 YEARS. BETWEEN 1990 AND 1996, THE DISTRICT EXPERIENCED A STEADY DECLINE IN POPULATION -- 11.1% OVER THE SIX YEAR PERIOD. ACCORDING TO A 1999 URBAN INSTITUTE STUDY, THE LOSS OF POPULATION DURING THIS PERIOD WAS UNUSUALLY HIGH AND RESULTED NOT SO MUCH FROM MORE PEOPLE MOVING OUT OF THE DISTRICT BUT FROM SIGNIFICANTLY FEWER PEOPLE MOVING INTO THE DISTRICT FROM OUTSIDE THE REGION. THE REPORT SUGGESTS THAT THIS DROP MAY HAVE OCCURRED FROM THE SPATE OF NEGATIVE PUBLICITY ABOUT THE DISTRICT THAT WAS QUITE WIDESPREAD IN THE EARLY 1990'S. DURING THE SIX-YEAR PERIOD, THE DISTRICT ALSO LOST A NUMBER OF BUSINESSES TO THE SUBURBS. WITH THE LOSS OF RESIDENTS AND BUSINESSES, OUR TAX BASE DECLINED, WITH CONCOMITANT REDUCTION IN TAX REVENUE. SCHOOLS FELL INTO DECLINE, EXISTING NEIGHBORHOOD HOUSING DETERIORATED, NEW RENTAL HOUSING CONSTRUCTION WAS SPARSE-TO-NONEXISTENT -- ESPECIALLY IN POOR AREAS, AND NEIGHBORHOOD RETAIL ESTABLISHMENTS SUCH AS GROCERY STORES WHERE SHUTTERED -- AT LEAST SIX BETWEEN OUR TWO MAJOR GROCERY CHAINS GIANT FOODS AND SAFEWAY. IN ADDITION, THOSE RESIDENTS WHO REMAINED IN THE DISTRICT EXPERIENCED A MARKED REDUCTION IN THE AVAILABILITY AND FREQUENCY OF MANY CITY SERVICES. HOWEVER, THE 1999 STUDY ALSO OFFERED SOME GOOD NEWS. BY THE LATE 90'S, THE IMAGE OF THE DISTRICT WAS GRADUALLY CHANGING, THUS CREATING THE PROSPECT FOR CESSATION OF OUR POPULATION LOSS. IN THE PRECEDING 3 YEARS, CRIME AND UNEMPLOYMENT IN THE DISTRICT HAD DECLINED. IN THE SAME PERIOD, THERE WAS A SIGNIFICANT GROWTH IN PROPERTY VALUES. HOME SALES IN THE DISTRICT WERE 48% HIGHER IN THE FIRST SIX MONTHS OF 1998 THAN THE FIRST SIX MONTHS OF 1997. THE DISTRICT'S ECONOMIC RESURGENCE WAS IN GEAR. IN JULY 2000, BUILDING ON THE RECOMMENDATIONS OF A WIDE RANGE OF STAKEHOLDERS, INCLUDING RESIDENTS, BUSINESS ORGANIZATIONS, TRADE GROUPS, AND GOVERNMENT OFFICIALS AT THE LOCAL AND FEDERAL LEVELS, OUR OFFICE PRODUCED A STRATEGIC PLAN FOR ECONOMIC DEVELOPMENT IN THE DISTRICT -- ONE THAT WOULD HARNESS THE ECONOMIC DEVELOPMENT ENERGY THAT ALREADY EXISTED IN THE MARKETPLACE AND EXPAND IT TO INCLUDE OUR NEIGHBORHOODS AND THOSE AREAS OF THE DISTRICT THAT HAVE SUFFERED FROM DISINVESTMENT. A COPY OF THAT PLAN IS ATTACHED TO THIS TESTIMONY. THIS MEANS BUILDING AND SUSTAINING HEALTHY NEIGHBORHOODS WITH A VARIETY OF HOUSING AND RETAIL DEVELOPMENTS. OBJECTIVE 2: EXPAND AND DIVERSIFY THE ECONOMY. THIS REQUIRES ATTRACTING NEW BUSINESS AND INDUSTRIES TO WASHINGTON, D.C. AS WELL AS RETAINING OUR EXISTING BUSINESSES AND HELPING THEM TO EXPAND. IT ALSO MEANS A STREAMLINED REGULATORY PROCESS TO FACILITATE ECONOMIC DEVELOPMENT. OBJECTIVE 3: PROVIDE ECONOMIC OPPORTUNITY FOR DISTRICT RESIDENTS. DISTRICT RESIDENTS MUST BENEFIT FROM THE ECONOMIC EXPANSION CURRENTLY UNDERWAY IN THE GREATER METROPOLITAN REGION, AND IN PARTICULAR FROM GOVERNMENT-SUPPORTED OR CONTROLLED PROJECTS IN THE DISTRICT, SUCH AS THE REDEVELOPMENT OF THE EXISTING CONVENTION CENTER. THIS INCLUDES OPPORTUNITIES FOR EMPLOYMENT AND JOB TRAINING AS WELL AS OPPORTUNITIES FOR ENTREPRENEURSHIP AND PROCUREMENT. IF WE ARE SUCCESSFUL IN ACHIEVING THESE THREE OBJECTIVES, THE NET RESULT WILL BE AN INCREASED TAX BASE FOR THE DISTRICT. THAT, IN TURN, RESULTS IN ECONOMIC AND FISCAL STABILITY FOR THE DISTRICT AND ITS RESIDENTS. WITH THE MISSION AND OBJECTIVES OF THE OFFICE IN MIND, LET ME BRIEFLY DESCRIBE A NUMBER OF OUR MAJOR ECONOMIC DEVELOPMENT INITIATIVES AND PROJECTS, FOLLOWED BY A SUMMARY OF OTHER CITYWIDE PROJECTS DESIGNED TO ACHIEVE OUR OVERALL MISSION. ON MARCH 22, 2000, MAYOR ANTHONY WILLIAMS LAUNCHED THE ANACOSTIA WATERFRONT INITIATIVE, A $1.5 MILLION PUBLIC/PRIVATE PARTNERSHIP WHICH PROMISES TO DEVELOP THE ANACOSTIA AND POTOMAC WATERFRONTS OF THE DISTRICT AS A COMMUNITY RESOURCE THAT WILL RIVAL ALL OTHER GREAT WATERFRONT CITIES IN AMERICA. THE INITIATIVE ENVISIONS THE CREATION OF AN UNPARALLELED ARRAY OF RECREATIONAL, RESIDENTIAL, COMMERCIAL AND OPEN SPACES WHICH WILL AFFORD DISTRICT RESIDENTS THE OPPORTUNITY TO ONCE AGAIN ENJOY A WATERFRONT THAT IS ECOLOGICALLY AND ENVIRONMENTALLY SAFE, SURROUNDED BY A REVITALIZED COMMUNITY. THE MAYOR HAS MOBILIZED HIS ADMINISTRATION, THROUGH THE OFFICE OF PLANNING, TO WORK WITH THE GENERAL SERVICES ADMINISTRATION, NATIONAL PARK SERVICE AND OTHER FEDERAL PARTNERS IN A PLANNING EFFORT THAT INVOLVES COMMUNITY WORKSHOPS, INVESTMENT IN THE DISTRICT'S LABOR FORCE, LEVERAGING OF PUBLIC FUNDS FOR PRIVATE COMMUNITY DEVELOPMENT, AND THE PROMOTION OF EXCELLENCE IN DESIGN AND ENGINEERING. THROUGH VISIONARY PLANNING, THE NATURAL BEAUTY OF THE ANACOSTIA RIVER WILL BE PRESERVED, PROTECTED AND DISPLAYED THROUGH THE ADOPTION OF CONSERVATION AND ENVIRONMENTAL PROJECTS THAT WILL CLEAN THE RIVER WATER, ENSURE THE HIGHEST AIR QUALITY STANDARDS, EFFECTIVELY MANAGE STORM AND SEWER OVERFLOWS, PROVIDE ADDITIONAL SHADE TREES, AND CREATE WILDLIFE HABITATS AND OPEN SPACES FOR THE ENJOYMENT OF DISTRICT RESIDENTS. THE DISTRICT AND FEDERAL GOVERNMENTS OWN OVER 90% OF ALL WATERFRONT LAND IN THE DISTRICT OF COLUMBIA. THE OVERALL GOAL OF THIS INITIATIVE IS TO FULLY INTEGRATE THE WATERFRONT INTO THE LIFESTYLE OF THE LARGER COMMUNITY. WITH RESPECT TO THE SOUTHWEST WATERFRONT, THE GOAL WILL BE TO BUILD ON PAST PLANS FOR THIS AREA AND STRENGTHEN THE NEIGHBORHOOD'S EXISTING ASSETS, SUCH AS THE FISH WHARF, MARINAS, RESTAURANTS AND MIXTURE OF HOUSING TYPES. WITH RESPECT NEAR SOUTHEAST, THE SOUTHEAST FEDERAL CENTER IS POSSIBLY THE SINGLE MOST IMPORTANT ECONOMIC DEVELOPMENT OPPORTUNITY ALONG THE RIVER. THE GSA HAS BEEN AUTHORIZED TO MAKE THIS AREA A LIVELY PLACE WHERE PEOPLE WORK, SHOP, PLAY AND LIVE. 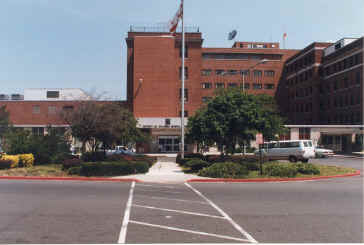 THE WASHINGTON NAVY YARD IS THE U. S. NAVY'S OLDEST SHORE ESTABLISHMENT AND HOME TO THE CHIEF OF NAVAL OPERATIONS AND NUMEROUS NAVAL COMMANDS. THE NAVY MUSEUM, WHICH HOUSES ARTIFACTS FROM THE REVOLUTIONARY WAR TO THE PRESENT DAY, WELCOMES 400,000 VISITORS EACH YEAR. APPROXIMATELY 10,800 EMPLOYEES WILL WORK AT THIS LOCATION BY THE END OF 2001. ROBERT F. KENNEDY STADIUM, WHICH SITS ADJACENT TO THE ANACOSTIA WATERFRONT HAS BEEN THE HOME TURF FOR PROFESSIONAL SPORTS, COLLEGE ATHLETICS AND HIGH SCHOOL GAMES, AS WELL AS CONCERTS AND OTHER EVENTS. THE CHALLENGE AT THIS SITE WILL BE TO CHANGE THE CONFIGURATION OF THE AREA BETWEEN THE STADIUM AND THE WATERFRONT TO ALLOW RESIDENTS AND VISITORS EASIER ACCESS BETWEEN THE TWO LOCATIONS. ANACOSTIA PARK, WHICH IS OWNED BY THE NATIONAL PARK SERVICE AND INCLUDES LAND ON BOTH SIDES OF THE RIVER EXTENDING FROM HISTORIC ANACOSTIA TO THE MARYLAND BORDER IS THE SUBJECT OF A GENERAL MANAGEMENT PLAN BEING UNDERTAKEN BY THE NATIONAL PARK SERVICE. THE PLAN WILL CONSIDER ELEMENTS SUCH AS NATURE TRAILS, HABITAT CONSERVATION AREAS, AND RECREATION AND COMMUNITY FACILITIES. KINGMAN AND HERITAGE ISLANDS OFFER DISTRICT RESIDENTS THE OPPORTUNITY TO INCREASE THEIR ENJOYMENT OF THE RIVER'S NATURAL BEAUTY. WITH PROPER PLANNING THIS AREA CAN PROVIDE A SERENE ESCAPE FROM BUSY CITY LIFE. THE PROPOSED USE OF THE ISLAND FOR PROFIT-MAKING VENTURES HAS BEEN ELIMINATED IN FAVOR OF A SERIES OF LOW IMPACT USES FOR ENVIRONMENTAL LEARNING, RECREATION AND CONSERVATION AREAS. THE ANACOSTIA WATERFRONT INITIATIVE ENVISIONS A PLACE WHERE RESIDENTS AND VISITORS CAN FISH, RAFT, PICNIC, CRUISE ON A TOUR BOAT AND COMMUNE WITH THE NATURE. WITH THE HELP OF OUR FEDERAL PARTNERS, WE LOOK FORWARD TO THE REALIZATION OF THESE GOALS. WE HAVE LAUNCHED THE EAST OF THE RIVER REVITALIZATION INITIATIVE -- AN $847 MILLION INVESTMENT THAT IS EXPECTED TO BRING: A NEW COMMERCIAL CENTER AND ADDITIONAL HOUSING TO EAST CAPITOL; NEW GOVERNMENT CENTERS AND COMMERCIAL REVITALIZATION TO THE MINNESOTA-BENNING METRO AREA AND THE ANACOSTIA GATEWAY; A NEW COMMERCIAL CENTER AND ADDITIONAL HOUSING TO CONGRESS HEIGHTS' AND NEW AND REHABILITATED HOUSING TO FAR S.E./S.W. OUR GOALS ARE TO CREATE CLEAN, SAFE AND HEALTHY NEIGHBORHOODS FOR RESIDENTS OF THESE AREAS AND TO EXPAND THE DISTRICT'S ECONOMIC PROSPERITY TO INCLUDE AREAS EAST OF THE RIVER, WHILE STRENGTHENING AND PRESERVING THE UNIQUE CHARACTER OF EAST OF THE RIVER NEIGHBORHOODS. ON NOVEMBER 14, 2000, THE MAYOR ISSUED A DOWNTOWN ACTION AGENDA, A FIVE-YEAR STRATEGIC BLUEPRINT TO GUIDE THE PUBLIC AND PRIVATE SECTORS IN SHAPING DOWNTOWN DEVELOPMENT. IN THAT ANNOUNCEMENT, THE MAYOR PLEDGED TO MAKE THE CREATION OF NEW DOWNTOWN HOUSING AND A VIBRANT RESIDENTIAL NEIGHBORHOOD IN NOMA A TOP PRIORITY. IN FEBRUARY OF THIS YEAR, THE MAYOR ANNOUNCED THREE INITIATIVES TO FULFILL THE PROMISE OF THE ACTION AGENDA AND CAPITALIZE ON OVER $4 BILLION IN RECENT DOWNTOWN INVESTMENT. THESE INITIATIVES ADVANCE RECOMMENDATIONS TO PROMOTE PREFERRED USES ON KEY PUBLIC OPPORTUNITY SITES, TO INCREASE ZONING FLEXIBILITY TO SUPPORT NEW HOUSING AND TO INSTITUTE A DOWNTOWN DEVELOPMENT PARTNERSHIP. ALONG WITH OVER 2,900 PROPOSED HOUSING UNITS CURRENTLY IN THE PIPELINE, THESE THREE INITIATIVES WILL FACILITATE THE REALIZATION OF NEW DOWNTOWN HOUSING AND THE CREATION OF A VITAL NEW URBAN NEIGHBORHOOD. A KEY ELEMENT TO THIS INITIATIVE IS THE DISPOSITION OF THE WAX MUSEUM SITE. THIS 138,000 SQUARE FOOT SITE IS LOCATED AT THE NORTHEAST CORNER OF 5TH AND K STREETS, N.W. AT THE EASTERN END OF DOWNTOWN AND SOUTH OF THE SHAW COMMUNITY. THE LOCATION HAS THE CAPACITY TO PROVIDE AT LEAST 400 NEW HOUSING UNITS -- 20% OF WHICH WILL BE AFFORDABLE UNITS, AND 40,000 SQUARE FEET OF SPACE FOR NEIGHBORHOOD RETAIL, ARTS AND CULTURAL USES. THE OFFICE OF PLANNING HAS REQUESTED THAT THE ZONING COMMISSION AMEND THE ZONING REGULATIONS IN THE AREAS TO ALLOW REVISED TIMING REQUIREMENTS FOR COMBINED LOT DEVELOPMENT, INCREASED RESIDENTIAL DENSITY WITHIN EXISTING HEIGHT LIMITS AND REDUCTION OF EXCESSIVE RECREATION SPACE REQUIREMENTS. THE SUCCESS OF THIS EFFORT, AS WITH SO MANY OTHER DEVELOPMENT EFFORTS WILL BE ROOTED IN PUBLIC/PRIVATE PARTNERSHIP. THE CENTER CITY PARTNERSHIP, WHICH IS A PUBLIC/PRIVATE ORGANIZATION WHICH EMERGED FROM THE DOWNTOWN ACTION AGENDA, AND WHICH HAS ALREADY CONVENED ITS FIRST MEETING, WILL AID IN THE REVITALIZATION OF THE CENTER CITY THROUGH DEVELOPMENT, MARKETING AND FACILITATION SERVICES. THE GEORGIA AVENUE CORRIDOR HAS BEEN THE CENTER OF RESIDENTIAL COMMERCIAL ACTIVITY AND AN INTEGRAL PART OF THE SURROUNDING NEIGHBORHOODS SINCE DEVELOPMENT BEGAN IN THE LATE 19TH AND 20TH CENTURIES. IT STRETCHES FROM S STREET TO EASTERN AVENUE, ENCOMPASSING ABOUT 65 BLOCKS IN WARD 1 AND WARD 4. THE AVENUE BISECTS THE SHAW, COLUMBIA HEIGHTS, PARK VIEW, PETWORTH, BRIGHTWOOD PARK, BRIGHTWOOD, SHEPHERD PARK AND TAKOMA PARK NEIGHBORHOODS. THE HERITAGE OF THE CORRIDOR IS MARKED BY NUMEROUS HISTORIC LANDMARKS AND TOURIST ATTRACTIONS IN THE SURROUNDING NEIGHBORHOODS. EMPLOYING THE PRINCIPLES OF NEIGHBORHOOD ACTION, THE MAYOR WILL COMMIT $111 MILLION TO PROVIDE A CLEAN, SAFE, HEALTHY AND ECONOMICALLY VIBRANT ENVIRONMENT ON THE GEORGIA AVENUE CORRIDOR. THIS COMMITMENT PAVES THE WAY FOR NEW INVESTMENT AND IS EXPECTED TO LEVERAGE FEDERAL AND PRIVATE SECTOR INVESTMENT TO CREATE NEW JOB OPPORTUNITIES, INCREASED RETAIL SALES AND SERVICES, IMAGE ENHANCEMENT AND COMMUNITY PRIDE. A MAJOR ENGINE FOR THE DEVELOPMENT OF NEW JOBS IN THE DISTRICT WILL BE THE NEW METRO STATION AT FLORIDA AND NEW YORK AVENUES, N.E. MY OFFICE CONTINUES TO WORK WITH THE PRIVATE SECTOR, THE FEDERAL GOVERNMENT, WMATA, DPW, THE OFFICE OF PLANNING AND THE OFFICE OF TAX & REVENUE TO COORDINATE THE PLANNING, FINANCING AND CONSTRUCTION OF THE NEW METRO STATION. WE ARE ASSISTING IN THE DEVELOPMENT OF A SPECIAL ASSESSMENT DISTRICT FOR THE AREA AND HELPED SECURE $25 MILLION IN FEDERAL FUNDS FOR THE PROJECT, WHICH HAD A GROUNDBREAKING IN DECEMBER 2000. IN ADDITION, WE HAVE FORWARDED TO THE COUNCIL OF THE DISTRICT OF COLUMBIA LEGISLATION THAT WILL COMPLETE THE FINANCING FOR THE PROJECT. WE HAVE ALSO MADE SIGNIFICANT PROGRESS IN SOLIDIFYING PLANS FOR GSA TO LOCATE THE NEW HEADQUARTERS FOR THE BUREAU OF ALCOHOL, TOBACCO AND FIREARMS NEAR THIS NEW STATION. THE PROJECT HAS A TOTAL DEVELOPMENT COST OF APPROXIMATELY $120 MILLION AND WILL BRING 1,100 EMPLOYEES TO THE SITE WHICH IS LIKELY TO ENHANCE CERTAIN DISTRICT TAX REVENUES. THE MAYOR'S CITYWIDE STRATEGIC PLAN ESTABLISHED A SERIES OF GOALS AND STEPS TO BRING DEVELOPMENT TO EVERY NEIGHBORHOOD AND COMMUNITY. ONE OF THE ACTION STEPS DIRECTED THE DEPARTMENT OF HOUSING AND COMMUNITY DEVELOPMENT TO HELP ASSEMBLE SITES FOR HOUSING, MAJOR STORES AND OTHER RELATED AMENITIES. THE PLAN ALSO DIRECTED OUR OFFICE TO RELOCATE APPROXIMATELY ONE MILLION SQUARE FEET OF OFFICE SPACE IN THE NEIGHBORHOODS AND TO ESTABLISH THREE MAJOR RETAIL HUBS IN CENTRALLY LOCATED AREAS TO SERVE MULTIPLE NEIGHBORHOOD CLUSTERS. WE INTEND TO ADDRESS THESE GOALS THROUGH THE BALANCE OF FY 2001 AND WELL INTO FY 2002 BY ALLOCATING AVAILABLE AND PROPOSED FINANCIAL RESOURCES TO MEET OUR OBJECTIVES. OUR OLDER, TRADITIONAL NEIGHBORHOODS LACK CONVENIENT SHOPPING ALTERNATIVES FOR REASONABLY PRICED GROCERIES AND OTHER MERCHANDISE. RESIDENTS ARE OFTEN FORCED TO CHOOSE BETWEEN MARGINAL NEIGHBORHOOD STORES IN THE DISTRICT AND TRAVELING TO MARYLAND OR VIRGINIA TO PURCHASE NAME-BRAND CONSUMER GOODS. DURING FY 2000, THE MAYOR ANNOUNCED HIS GOAL OF BRINGING TWO GROCERY STORES EAST OF THE RIVER. THUS FAR, WE HAVE BROUGHT ONE TO EAST CAPITOL DWELLINGS AND ARE IN THE PROCESS OF REVIEWING PROPOSALS WHICH WILL PERMIT US TO BRING ANOTHER TO CAMP SIMMS. HE ALSO ANNOUNCED A PROPOSED SHOPPING CENTER ON BRENTWOOD ROAD N.E. THE PROPOSED CENTER ALREADY HAS COMMITMENTS FROM GIANT FOOD FOR GROCERIES, KMART FOR APPAREL AND GENERAL MERCHANDISE, AND HOME DEPOT FOR HARDWARE, YARD AND HOME IMPROVEMENT MERCHANDISE. HOWEVER, MANY HURDLES REMAIN TO FULFILL THE PROMISE OF BRINGING RETAIL TO UNDERSERVED NEIGHBORHOODS. IN ORDER FOR THE BRENTWOOD CENTER TO OPEN IN THE SUMMER OF 2002, CONSTRUCTION MUST BEGIN BY THIS SPRING. SEVERAL AGENCIES MUST COORDINATE THEIR ACTIVITIES AS THE DEVELOPER APPROACHES THE ISSUANCE OF CONSTRUCTION PERMITS, APPROVAL OF STORM WATER MAINTENANCE PLANS, FORMAL SITE ACQUISITION, STREET CLOSINGS AND DEDICATIONS, AND LAND EXCHANGES WITH THE U.S. POST OFFICE AND WMATA. COMPLETING A PROJECT OF THIS MAGNITUDE IN A VERY SHORT PERIOD OF TIME WILL SEND A STRONG MESSAGE TO THE RETAIL COMMUNITY THAT THE DISTRICT IS INDEED OPEN FOR BUSINESS AND TO THE CITIZENS THAT NO NEIGHBORHOOD WILL BE LEFT BEHIND AS THE DISTRICT'S ECONOMIC RESURGENCE MOVES FORWARD. THE BRENTWOOD CENTER WILL NOT ONLY PROVIDE JOBS AND SERVICES TO THE COMMUNITY, BUT ALSO BRING MILLIONS OF DOLLARS IN TAX REVENUE TO THE CITY. IT IS PROJECTED THAT THIS PROJECT WILL YIELD $100 MILLION IN SALES, 400 CONSTRUCTION JOBS, 800 PERMANENT JOBS, AND OVER $5 MILLION ANNUALLY IN NEW TAX REVENUES. THE RETAIL CENTER WILL SERVE AS A CATALYST FOR MORE DEVELOPMENT ALONG THE RHODE ISLAND AVENUE CORRIDOR, IMPROVING THE QUALITY OF LIFE FOR RESIDENTS IN THE SURROUNDING NEIGHBORHOODS. AT ONE TIME THE DISTRICT WAS FULL OF VIBRANT MINI-TOWN CENTERS THAT PROVIDED CITIZENS CENTRALIZED PLACES TO SHOP AND SPEND LEISURE TIME. IN RECENT DECADES, RETAIL AREAS SUCH AS H STREET AND BARRACKS ROW, GEORGIA AVENUE, MOUNT PLEASANT, BROOKLAND AND ANACOSTIA HAVE FAILED TO KEEP ECONOMIC PACE AS NATIONAL MARKETING TRENDS HAVE CHANGED. IN ORDER TO REVITALIZE THE CITY'S COMMERCIAL CENTERS, MAYOR WILLIAMS IS TAKING A COMPREHENSIVE AND STRATEGIC APPROACH TO THE ALLOCATION OF RESOURCES TO SUPPORT PRIVATE SECTOR LEADERSHIP. FOR EXAMPLE, HE IS CONSIDERING VARIOUS APPROACHES TO REPOSITION OUR NEIGHBORHOOD BUSINESS DISTRICTS AND RETAILERS SO THEY CAN CAPTURE A GREATER SHARE OF THEIR LOCAL MARKET AND BEGIN TO COMPETE MORE EFFECTIVELY WITH SUBURBAN LOCATIONS. THE MAYOR'S PROGRAM WOULD BE BASED ON A SUCCESSFUL MODEL DESIGNED BY THE NATIONAL TRUST FOR HISTORIC PRESERVATION AND KNOWN AS THE MAIN STREETS PROGRAM. MAIN STREET IS A COMPREHENSIVE STRATEGY THAT PROVIDES MERCHANTS, PROPERTY OWNERS AND COMMUNITY RESIDENTS WITH TOOLS AND INFORMATION TO POSITION NEIGHBORHOOD COMMERCIAL DISTRICTS TO COMPETE IN TODAY'S MARKET. A HALLMARK OF THE MAIN STREET PROGRAM IS THAT IT ENCOURAGES CITIZENS TO TAKE THE LEAD IN PLANNING AND MANAGING A VARIETY OF CHANGES THEY WANT FOR THEIR NEIGHBORHOOD RETAIL AREA. THE MAIN STREET APPROACH HAS PROVEN SUCCESSFUL IN OTHER CITIES BECAUSE IT CAN READILY BE ADAPTED TO FIT THE STRENGTHS AND OPPORTUNITIES IN EACH COMMERCIAL DISTRICT. IN BOSTON, FOR EXAMPLE, THE MAIN STREET PROGRAM HAS CREATED MORE THAN 2,000 NET NEW JOBS, ALMOST 250 NET NEW BUSINESSES, AND HAS SEEN OVER $19.9 MILLION IN PRIVATE REINVESTMENT SINCE 1995. THE CITY OF BOSTON INVESTED AN ADDITIONAL $86 MILLION IN INFRASTRUCTURE INVESTMENTS AND CAPITAL IMPROVEMENTS IN THE TARGETED NEIGHBORHOODS, WHICH ARE SOME OF THE MOST DISTRESSED NEIGHBORHOODS IN THE CITY. A POSSIBLE OUTCOME, OR OVERLAY, TO A LOCAL MAIN STREETS DESIGNATION WOULD BE WHAT I WILL REFER TO AS A NEIGHBORHOOD "SPECIAL DISTRICT" WHERE A VARIETY OF ECONOMIC DEVELOPMENT TOOLS AND REVITALIZATION INCENTIVES WOULD BE TARGETED TO SPECIFIC COMMERCIAL AREAS. FOR EXAMPLE, TAX INCREMENT FINANCING MAY BE A VIABLE TOOL FOR ASSISTING NEIGHBORHOOD-BASED RETAIL BUSINESSES. AS YOU ARE AWARE, THE MAYOR AND THE CFO HAVE BEEN INSTRUMENTAL IN NEGOTIATING AND RECOMMENDING FOR COUNCIL APPROVAL THREE DOWNTOWN PROJECTS UNDER THE DISTRICT'S TAX INCREMENT FINANCING PROGRAM. THESE PROJECTS PROMISE TO SPUR CONTINUED ECONOMIC DEVELOPMENT IN THE AREAS SURROUNDING THEIR RESPECTIVE PROJECT SITES. COLLECTIVELY, THEY ARE EXPECTED TO FOSTER OVER 1600 NEW JOBS FOR DISTRICT RESIDENTS AND $85 MILLION IN CONTRACTING OPPORTUNITIES FOR DISTRICT-BASED LOCAL, SMALL OR DISADVANTAGED BUSINESS ENTERPRISES. WE WILL CONTINUE TO WORK CLOSELY WITH EACH DEVELOPER AND TO MONITOR PROGRESS ON THESE PROJECTS TO ASSURE THEIR TIMELY AND SUCCESSFUL COMPLETION. IN ORDER TO EXPAND THIS ACTIVITY, WE ARE COMPLETING REGULATIONS FOR THE TIF PROGRAM WHICH WILL ALLOW UTILIZATION OF THIS IMPORTANT ECONOMIC DEVELOPMENT TOOL FOR NEIGHBORHOOD DEVELOPMENT. THE REGULATIONS ALSO ALLOW THE DISTRICT TO UTILIZE TIF IN CONNECTION WITH DEVELOPMENT PRIORITIES ESTABLISHED BY THE DISTRICT, NOT JUST THOSE ESTABLISHED BY INDIVIDUAL DEVELOPERS. WE EXPECT THIS TO BE ESPECIALLY VALUABLE IN ASSISTING PRIORITY DEVELOPMENT ACTIVITY IN NEIGHBORHOOD BUSINESS DISTRICTS. ONE OF THE KEY ELEMENTS TO SUCCESSFUL NEIGHBORHOOD REVITALIZATION IS PRESERVATION AND EXPANSION OF THE HOUSING STOCK. IN ORDER TO BETTER UNDERSTAND THE NEED FOR THIS FOCUS, IT IS IMPORTANT TO EXAMINE THE MANNER IN WHICH THE DISTRICT'S ECONOMIC RESURGENCE HAS UNFOLDED. WHILE THE RESURGENCE HAS BROUGHT NEW LIFE AND OPPORTUNITIES TO THE CITY AND ITS NEIGHBORHOODS, IT HAS ALSO BROUGHT PRESSURES ON OUR HOUSING MARKET, ESPECIALLY ON AFFORDABLE HOUSING. LONG-TIME RESIDENTS ARE SEEING THEIR RENTS AND PROPERTY TAXES INCREASE, OFTEN FORCING THEM TO MOVE TO NEW COMMUNITIES. THE RISING LAND VALUES AND CONSTRUCTION COSTS MAKE IT DIFFICULT FOR AFFORDABLE HOUSING DEVELOPERS TO FINANCE NEW PROJECTS. AT THE SAME TIME OWNERS OF FEDERALLY SUBSIDIZED RENTAL HOUSING PROJECTS ARE LOOKING AT THE BOOMING REAL ESTATE MARKET AND ARE CONSIDERING CONVERTING THEIR PROPERTIES TO MARKET-RATE HOUSING. IN RECOGNITION OF THIS, THE MAYOR IS PROPOSING A BROAD-BASED LEGISLATIVE HOUSING INITIATIVE TO ADDRESS ISSUES OF AFFORDABILITY, DISPLACEMENT, VACANT AND ABANDONED HOUSING, AND INCREASED HOUSING PRODUCTION ESPECIALLY FOR WORKING FAMILIES. I WILL RESERVE FURTHER COMMENT ON THIS AND OTHER ASPECTS OF OUR HOUSING DEVELOPMENT STRATEGY FOR THE UPCOMING HEARING WHICH THIS SUBCOMMITTEE HAS SCHEDULED ON THE SUBJECT FOR MAY OF THIS YEAR. ANOTHER EXAMPLE OF MAYOR WILLIAMS' COMMITMENT TO NEIGHBORHOOD REVITALIZATION IS THE DECISION TO LOCATE DC GOVERNMENT CENTERS IN UNDERCAPITALIZED AREAS OF THE DISTRICT. THE GOVERNMENT CENTERS PROPOSAL IS EXPECTED TO RESULT IN THE RELOCATION OF 1 MILLION SQUARE FEET OF GOVERNMENT FACILITIES TO UP TO 5 NEIGHBORHOOD SITES. THE NEW GOVERNMENT CENTERS WILL STIMULATE NEIGHBORHOOD COMMERCIAL REVITALIZATION BASED UPON STRATEGIES DEVELOPED FOR EACH NEIGHBORHOOD. THE LOCATION OF THE GOVERNMENT CENTERS SENDS A CLEAR MESSAGE TO PRIVATE INVESTORS OF THE CITY'S LONG-TERM COMMITMENT TO REVITALIZING AND MAINTAINING THESE COMMERCIAL CORRIDORS. THE PUBLIC INVESTMENTS ENCOURAGE REINVESTMENT OF OWNERS OF EXISTING BUSINESSES AND PROPERTY, AND BRINGS JOB OPPORTUNITIES TO THE NEIGHBORHOOD. WE CONTINUE TO PLAY A ROLE IN SOME OF THE SIGNIFICANT DEVELOPMENT ACTIVITIES PLANNED FOR THE GEORGIA AVENUE CORRIDOR. WE ASSISTED IN THE COORDINATION OF AN INTERAGENCY TASK FORCE FOCUSING ON IMPLEMENTATION OF THE GEORGIA AVENUE INITIATIVE. THAT INITIATIVE INVOLVES THE DISTRICT'S COMMITMENT TO BRING $111 MILLION IN INVESTMENTS TO THE CORRIDOR. ANOTHER IMPORTANT NEIGHBORHOOD COMMITMENT IS THE NEW YORK AVE. METRO STATION. AS THE EXPANSION OF DOWNTOWN MOVES EASTWARD, AND WITH THE DEVELOPMENT OF THE NOMA INITIATIVE, IT IS IMPERATIVE THAT THIS AREA BE SERVICED BY EFFICIENT RAPID TRANSPORTATION. BUSINESSES SUCH AS QWEST AND XM RADIO HAVE COME TO THIS NEIGHBORHOOD IN ANTICIPATION OF THIS KEY AMENITY. THE BUREAU OF ALCOHOL, TOBACCO AND FIREARMS, WITH 1,100 EMPLOYEES IS PLANNING TO LOCATE ITS HEADQUARTERS ADJACENT TO THE SITE. THE TIMELY CONSTRUCTION OF THE STATION IS A MUST FOR CONTINUED ECONOMIC DEVELOPMENT OF THE AREA. JUST AS IMPORTANT, THE RESIDENTS OF THE ECKINGTON, TRUXTON CIRCLE, BLOOMINGDALE AND IVY CITY NEIGHBORHOODS WILL HAVE EASIER ACCESS TO JOBS INSIDE AND OUTSIDE THE CITY. LARGE-SCALE ECONOMIC DEVELOPMENT OPPORTUNITIES EXIST BECAUSE THE DISTRICT IS EXPERIENCING NOTABLE ECONOMIC GROWTH, LED PRIMARILY BY OFFICE, RETAIL AND ENTERTAINMENT INVESTMENT IN THE CENTRAL BUSINESS DISTRICT. SIGNIFICANTLY, HOWEVER, INVESTORS AND RETAILERS ARE SHOWING NEW INTEREST IN EMERGING ECONOMIC OPPORTUNITY AREAS, SUCH AS THE WASHINGTON NAVY YARD, HISTORIC ANACOSTIA, AND THE AREAS OF NORTH CAPITOL STREET AND COLUMBIA HEIGHTS. THE ECONOMIC DEVELOPMENT PLANS ENVISION LINKING THE SUCCESSES OF DOWNTOWN TO THE EMERGING MARKETS. AN EXAMPLE OF THE KIND OF LARGE SCALE DEVELOPMENT WE INTEND TO PROMOTE IN FY 2002 AND BEYOND IS THE DEVELOPMENT PROPOSED FOR THE MOUNT VERNON SQUARE AREA. THIS INCLUDES TWO COMPONENTS - THE OLD WAX MUSEUM AND THE OLD CONVENTION CENTER, WHICH ARE PROJECTS THAT GO A LONG WAY TOWARD ADVANCING OUR HOUSING GOALS FOR DOWNTOWN. WE FULLY EXPECT TO BRING THE NATIONAL CAPITAL REVITALIZATION CORPORATION, WHICH IS NOW OPERATIONAL, INTO PLAY IN STRUCTURING AND IMPLEMENTING SUCH PROJECTS. WE WILL CONTINUE TO BOLSTER THE DISTRICT'S MARKETING EFFORTS BY SUPPORTING THE MARKETING CENTER, A PUBLIC/PRIVATE PARTNERSHIP WITH THE CHAMBER OF COMMERCE AND DCBIA, WHICH FOCUSES ON BUSINESS RETENTION AND ATTRACTION. THE DIRECTOR OF THE MARKETING CENTER WILL CONTINUE TO WORK AGGRESSIVELY TO MARKET DISTRICT NEIGHBORHOODS TO THE BUSINESS COMMUNITY. THE MARKETING CENTER HAS SPONSORED A NUMBER OF WORKSHOPS DESIGNED TO DEVELOP A COMPREHENSIVE STRATEGY FOR ATTRACTING BUSINESSES TO OUR UNDERSERVED NEIGHBORHOODS AND WE EXPECT SIMILAR ACTIVITY TO BE UNDERTAKEN IN FY 2002. WE WILL CONTINUE OUR DC BUSINESS CONNECTIONS INITIATIVE -- A PUBLIC/PRIVATE PARTNERSHIP WITH THE DC MARKETING CENTER WHICH IS DESIGNED TO ELICIT INFORMATION FROM THE PRIVATE SECTOR ON HOW THE DISTRICT CAN IMPROVE THE REGULATORY STRUCTURE AND SERVICE DELIVERY TO OUR LOCAL BUSINESSES IN A MANNER THAT PROMOTES BUSINESS RETENTION. AS PART OF THAT INITIATIVE, WE RECENTLY COMPLETED OUR 300TH CUSTOMER SATISFACTION INTERVIEW AND ANTICIPATE MORE SUCH INTERVIEWS IN THE FUTURE. WE ARE CURRENTLY WORKING WITH REPRESENTATIVES OF THE OFFICE OF THE CFO, THE OFFICE OF PROPERTY MANAGEMENT, AND THE DEPARTMENT OF EMPLOYMENT SERVICES TO DEVELOP REGULATIONS TO IMPLEMENT THE NEW ECONOMY TRANSFORMATION ACT OF 2000. IN FY 2002, WE EXPECT TO ASSIST IN IMPLEMENTING AND MARKETING THE FACILITIES ASSISTANCE AND INVESTMENT INCENTIVE PROVISIONS IN THE ACT. THESE INCLUDE PROVISIONS THAT AUTHORIZE THE MAYOR TO PROVIDE TECH COMPANIES WITH ASSISTANCE IN MEETING SECURITY DEPOSIT REQUIREMENTS WHICH PROVIDE THE MAYOR WITH THE AUTHORITY TO ENTER INTO MASTER LEASES FOR TECH OFFICE SPACE. IN ADDITION, WE WILL ASSIST IN IMPLEMENTING PROVISIONS WHICH ENCOURAGE THE USE OF SPACE OWNED OR CONTROLLED BY THE DISTRICT FOR TECH SPACE, AND WHICH ALLOW THE WAIVER OF CAPITAL GAINS TAXES FOR INVESTMENTS IN DC TECH COMPANIES. WE HAVE ORGANIZED AND STRENGTHENED A STRUCTURE FOR SOLICITING OPINIONS AND RECOMMENDATIONS FROM A VARIETY OF INDIVIDUALS, BUSINESSES AND COMMUNITY ORGANIZATIONS ON ECONOMIC DEVELOPMENT ISSUES, INCLUDING FORMING TASK FORCES ON HOUSING, MARKETING, RETAIL, TRANSPORTATION AND THE ARTS. WE HAVE ALSO ESTABLISHED THE BUSINESS ROUNDTABLE AND A TECHNOLOGY ADVISORY GROUP, THE DIGITAL CAPITAL ALLIANCE. WE WILL CONTINUE TO EXPAND THESE FORUMS, WHICH ALLOW THE BUSINESS COMMUNITY AND THE EXECUTIVE BRANCH TO CULTIVATE A SOUND WORKING RELATIONSHIP. THESE FORUMS HAVE YIELDED A NUMBER OF RECOMMENDATIONS FOR BETTER AND MORE EFFICIENT GOVERNMENT, RESULTING IN INITIATIVES SUCH AS THE COMPREHENSIVE HOUSING LEGISLATION PACKAGE PROPOSED BY THE MAYOR. IN ADDITION TO THE MAJOR DEVELOPMENT PROJECTS DISCUSSED EARLIER IN MY TESTIMONY -- ALL OF WHICH PROMISE TO BRING INCREASED JOBS TO DISTRICT RESIDENTS AND INCREASED CONTRACTING DOLLARS TO DISTRICT-BASED LSDBE'S -- MY OFFICE IS ACTIVELY INVOLVED IN PROMOTING OTHER EFFORTS TO ASSURE THAT THE ECONOMIC BENEFITS GENERATED BY SUCCESSFUL DEVELOPMENT TOUCH EVERY SEGMENT OF OUR POPULATION. FOR EXAMPLE, I REPRESENT THE MAYOR ON THE WORKFORCE INVESTMENT COUNCIL. THE COUNCIL WAS CREATED PURSUANT TO THE WORKFORCE INVESTMENT ACT TO PROVIDE ADVICE ON IMPROVING COORDINATION AND UTILIZATION OF WORKFORCE DEVELOPMENT PROGRAMS ADMINISTERED THROUGH VARIOUS DISTRICT AGENCIES. IN ADDITION TO CREATING A UNIFIED PLAN FOR WORKFORCE DEVELOPMENT INITIATIVES AND OVERSEEING THE ONE STOP EMPLOYMENT SYSTEM, THE WIC SEEKS TO IMPROVE LABOR MARKET INFORMATION, COMMUNITY INVOLVEMENT AND REGIONAL WORKFORCE DEVELOPMENT PLANNING. THE TWO OVERARCHING GOALS THE WIC HAS IDENTIFIED AS NECESSARY FOR IMPROVED WORKFORCE DEVELOPMENT ARE INCREASED LITERACY AND GREATER EMPLOYER UTILIZATION OF WORKFORCE DEVELOPMENT PROGRAMS. FINALLY, ON THE ISSUE OF EMPLOYMENT, OUR OFFICE IS COMMITTED TO GETTING JOBS TO DISTRICT RESIDENTS. WHILE WE HAVE DONE A COMMENDABLE JOB OF EXTRACTING EMPLOYMENT COMMITMENTS FROM PROJECT SPONSORS, WE HAVE COME TO RECOGNIZE THE NEED FOR A STRONGER AND MORE EFFICIENT MECHANISM TO ENSURE THAT DISTRICT RESIDENTS ARE PLACED IN THOSE JOBS. ONE OF THE WAYS THIS IS BEING ADDRESSED IS THROUGH THE OFFICE OF LOCAL BUSINESS DEVELOPMENT, WHICH NOW HOSTS JOB FAIRS THAT ARE HELD WELL IN ADVANCE OF PROJECT CONSTRUCTION, THUS ALLOWING TIME FOR EMPLOYEE PREPARATION AND TRAINING IN ADVANCE OF PLACEMENT. IN ADDITION, WE WILL BE EXPLORING WAYS TO BRING THE DEPARTMENT OF EMPLOYMENT SERVICES AND PROJECT SPONSORS TOGETHER EARLIER IN THE DEVELOPMENT PROCESS. THE GOAL IS TO DEVELOP A CLEAR AND COHERENT PLAN TO ADDRESS POTENTIAL IMPEDIMENTS TO THE SUCCESSFUL PLACEMENT OF DISTRICT RESIDENTS IN POSITIONS CREATED AS A RESULT OF INCREASED ECONOMIC DEVELOPMENT ACTIVITY. THESE ARE AMONG THE MANY INITIATIVES THAT WILL BE UNDERTAKEN BY MY OFFICE DURING THE COMING MONTHS. THROUGH THESE AND OTHER INITIATIVES, OUR OFFICE IS COMMITTED TO BRINGING THE MAYOR'S VISION OF ECONOMIC OPPORTUNITY TO ALL SEGMENTS OF OUR POPULATION. AS WE PROCEED WITH THESE AND OTHER ECONOMIC DEVELOPMENT INITIATIVES, I AM HOPEFUL THAT OUR RESPECTIVE OFFICES WILL CONTINUE TO WORK TOGETHER TO ACHIEVE THE DESIRED RESULTS. APART FROM ASSISTING IN THE FUNDING OF SPECIFIC ECONOMIC DEVELOPMENT PROJECTS, THE FEDERAL GOVERNMENT CAN -- AND SHOULD -- PLAY A PIVOTAL ROLE IN MAKING THE CLIMATE FOR INVESTMENT IN THE DISTRICT MORE ATTRACTIVE. AS YOU KNOW, OUR OFFICE AND THE OCFO HAVE ALREADY OPENED A DIALOGUE WITH YOU ABOUT NUMEROUS FEDERAL TAX INCENTIVES THAT COULD SPARK ENHANCED DEVELOPMENT ACTIVITY IN THE DISTRICT, IF ENACTED. WE HOPE TO IMPLEMENT THIS INITIATIVE IN 3 STAGES. FIRST, AGREEMENT ON THE SCOPE AND NATURE OF THE DESIRED INCENTIVES, THAT IS, IDENTIFICATION OF THE ISSUES THE INCENTIVES SHOULD ADDRESS, THEIR DURATION, AND THE GEOGRAPHIC AREAS THAT SHOULD BE COVERED. NEXT, WE WILL WORK WITH YOU TO DEVELOP APPROPRIATE LEGISLATION TO IMPLEMENT THE INCENTIVES. FINALLY, IN CONJUNCTION WITH THE OFFICE OF THE CHIEF FINANCIAL OFFICER, WE WILL DEVELOP A STATEMENT OF THE FISCAL IMPACT OF THE PLANNED AMENDMENTS. EXTENDING THE DISTRICT'S ENTERPRISE ZONE DESIGNATION TO CORRESPOND WITH THE 10-YEAR PERIOD GRANTED TO OTHER CONGRESSIONALLY DESIGNATED AREAS. EXPANDING THE GEOGRAPHIC BOUNDARIES OF THE DISTRICT'S ENTERPRISE ZONE TO INCLUDE ALL AREAS OF THE DISTRICT CENSUS TRACTS. REMOVING BARRIERS TO CAPITAL GAINS TAX EXCLUSION. SPECIFICALLY, THE ZERO CAPITAL GAINS TAX BENEFITS SHOULD BE AVAILABLE TEMPORARILY TO PROMOTE INVESTMENT IN NEW ECONOMY TECHNOLOGIES IN OUR NATION'S CAPITAL. TODAY. I WOULD BE HAPPY TO ANSWER ANY QUESTIONS THAT YOU OR OTHER MEMBERS OF THE BODY MAY HAVE.